Free Shipping Included! 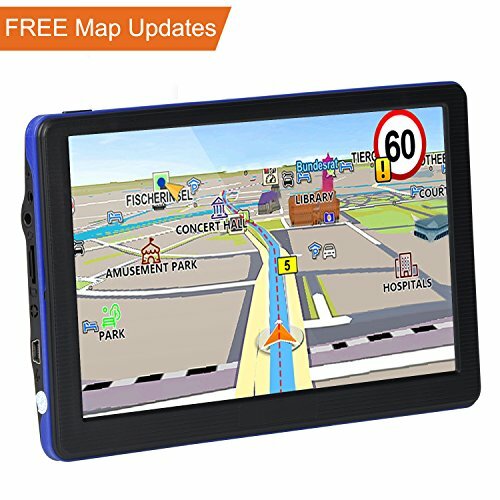 JRCX Car GPS, 7 inch 8GB Real Voice Vehicle GPS Navigator, Navigation System for Cars, Lifetime Map Updates, Car Charger & On-dash Mount Included by JRCX at iShare Maps. Hurry! Limited time offer. Offer valid only while supplies last. 7 Inch LCD Display, 800 x 480 resolution, 8 GB build-in memory. The navigating software could run memory card directly, up to 32 GB, more faster than average GPS navigation, use your navigator any time in car. Real people voice navigation, don't have to look on the GPS screen all the time. Receive alerts for upcoming sharp curves, speed changes, school zones, nearby red light and speed cameras and more. This unit pre-loaded North & South America maps, including Argentina, Brazil, Canada, Chile, Colombia, Costa Rica, Mexico, United States... If you require maps of other countries, please contact us via Amazon message. 90 DAYS MONEY BACK GUARANTEE AND LIFETIME WARRANTY - We offer you 100% satisfaction 90 days hassle free money back guarantee, and lifetime warranty. If you have any questions about the product. We will reply you in 24 hours. If you have any questions about this product by JRCX, contact us by completing and submitting the form below. If you are looking for a specif part number, please include it with your message.